The Philadelphia Housing Authority is now a few years into a massive redevelopment effort in the Sharswood neighborhood which will eventually result in the creation of over a thousand new units of affordable housing. 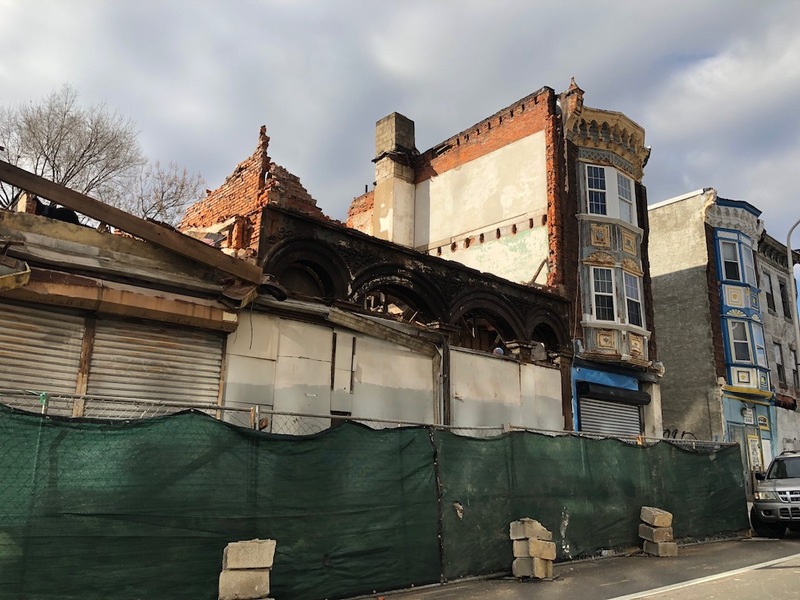 This plan stands on two pillars- the demolition of the Blumberg apartment buildings in the heart of the neighborhood, and the taking of over a thousand other private properties scattered around the neighborhood through eminent domain. At this time, the towers are gone, the once private properties have changed hands, and numerous new residences are in various states of construction. 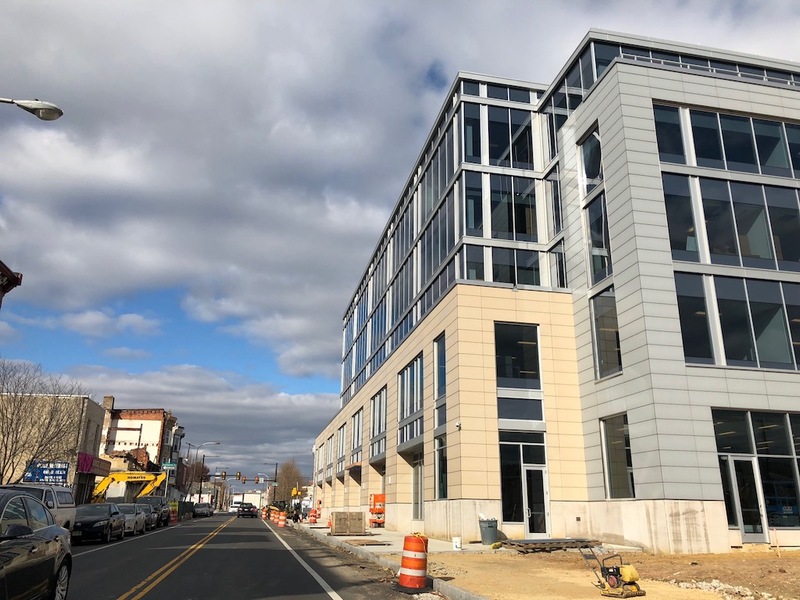 As if to fully build itself into the new fabric of the neighborhood, PHA is currently building its new headquarters on the 2000 block of Ridge Avenue. Just across from the new PHA building is a property we’ve long fancied, but not for any traditional architectural reasons. 2050 Ridge Ave. is actually quite unremarkable, a vacant stucco-covered box of a building. The last time anyone used the building, it was home to Ridge Home Furnishers Inc., and if their furniture was even half as amazing as their sign, they’d probably still be in business. Though this stretch of Ridge has been deeply depressed for as long as we can remember, this sign always made us imagine a vibrant corridor from many decades ago. Unfortunately, the wonderful sign is now gone- when we visited the property a few days ago, we discovered that the building was mostly gone. Naturally, we assumed that developers had purchased the sizable parcel and were planning some kind of mixed-use development there. But we were entirely incorrect in that assumption. Developers did indeed purchase the property, but that was back in 2015. Before that year was out though, PHA took the building via eminent domain, as they did with so many other properties in the area. In some parts of the neighborhood, PHA moved quickly to demolish blighted buildings and start new construction. Here though, the vacant building remained, slowly deteriorating. 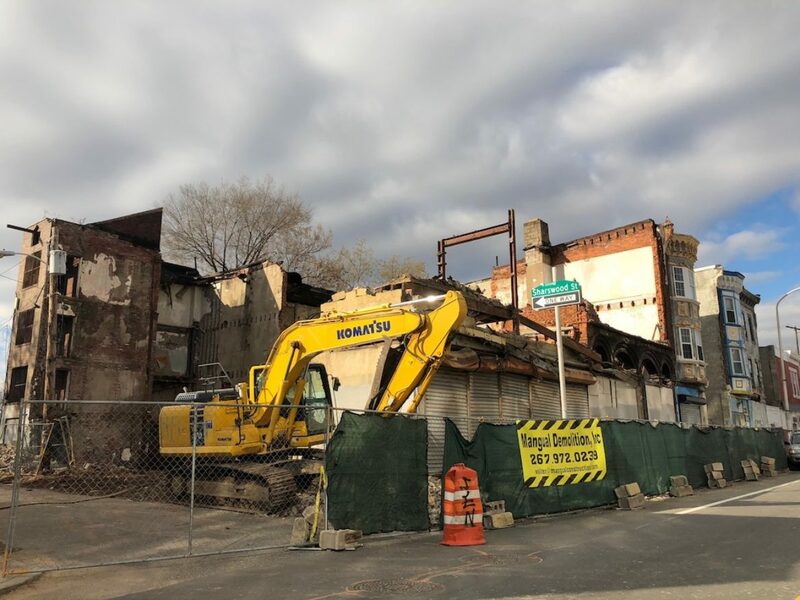 With demolition now moving forward, we assumed this was a sign that PHA would soon begin work on some new projects in this part of the neighborhood. But that’s also not on point. Instead, this demolition is being done by the City of Philadelphia, as part of its effort to demolish imminently dangerous buildings. This structure was deemed imminently dangerous last month and PHA did not do any work to stabilize it, so the City is going to the trouble of tearing it down and sending the bill to the Housing Authority. Here’s to hoping the City someday gets its money back. 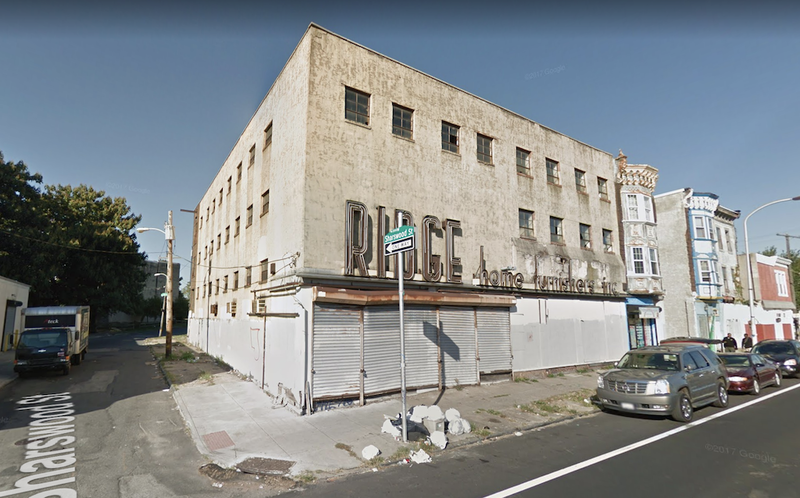 On the plus side, we understand that Philly Salvage Company has taken the old sign, so at least the one interesting part of the property will live to fight another day. Hope the demolition company is qualified to do the job safely. What will they build on the site? The site had hope, but PHA bought most of the land in that area for a new “affordable housing” neighborhood. The area is now doomed for another 50+ years. I was about to say something about saving the sign, then i read the last sentence. At least there’s that. Does that pass for a silver lining?